You can view a user's profile page by typing the username in the top search field and click on the search result. On the user profile page, you can view this user's recent contribution statistics according to the selected date range option. 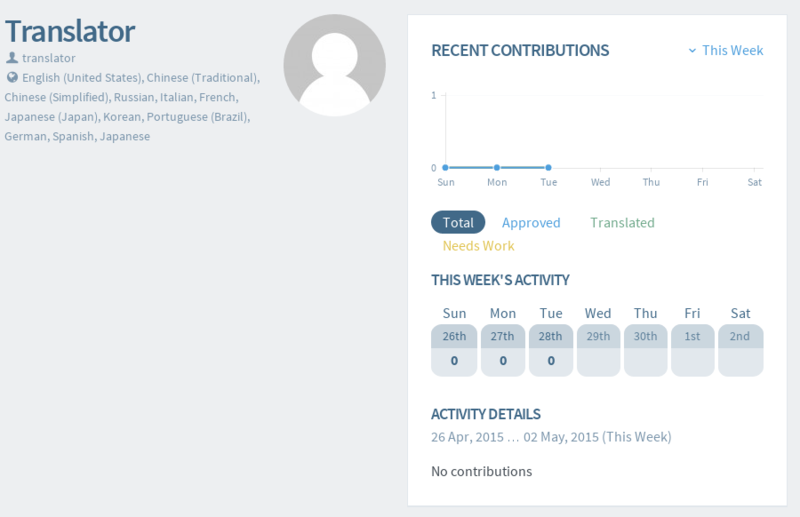 By default it will show this week's contribution categorized by language and project.